I love this image. I was very impressed with the elongated sundog and very long prominent parhelic circle (tail). 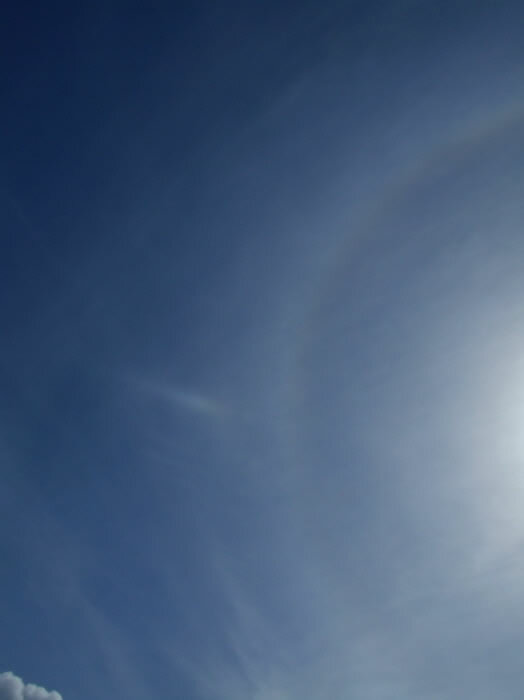 Also see that this is a more rare type of sundog which sits well outside of the halo.